Living a successful life is what everyone wants. You, me, your friends, everyone, wants to be successful, but the question is how to achieve it? People who tell you that he or she doesn’t want to be successful is just fake. It is just like asking someone whether he wants to be rich and have unlimited wealth. Most people believe that living a successful life is all about the how. They need to know the how. There always seem to be ‘some way’ or secrets to achieving the success they want. In my opinion, success comes in 2 parts. The inner world and the outer world. If you read the book, Secrets of the Millionaire Mind, the author Harv Eker explained that the ‘how to’ part is all about the outer world. How to be successful, the tricks, the tips, the steps, all of them are the tools. Just like a carpenter, he needs his tools to perform a great piece of craft. On the other side, there is the inner world. The inner world is about you. It is about your belief systems, your values, your rules, your habits and your thinking. This is just like the skills to the carpenter. 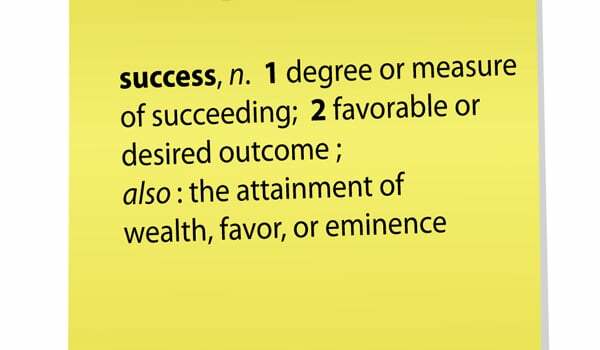 Guess what, to be successful; you need to have BOTH. You need to master both the inner and the outer world to build outstanding success in life. You need to have the thinking, the habit, and the right beliefs. And at the same time, you need to learn to master your tools. In business, your tools will be your management skills, your leadership skills, your accounting skills, your ability to judge, etc. It is only when you can master both your inner world of thoughts and beliefs and the outer world of your skills and expertise, you can produce outstanding results in your life. This explains why some people have the skills to do stuff, and they are an expert in it, but because of their inner dis-empowering thoughts and beliefs, they are not getting anywhere. Conversely, if you have empowering thoughts and strong belief system for success, but you lack the skill, you will still not be getting anywhere. So you need to have both to create the success you desire. I have put together the 10 steps that I think are utmost important to achieve whatever success you want in life. These 10 steps are made from both the inner and the outer world that you need to master. This is obviously the most basic place to begin. You have to understand what you want and how do you define your success. Do you know that success can mean different thing to different people? Of course, most people will define success as having a lot of money, living a happy life, able to travel the world, contribute to the society, etc. However, if you nail it down deeper, what everyone wants will be different. Some people want to build a billion-dollar business empire and fly in a private jet while some other people want to achieve financial freedom and be able to do what they love and enjoy every day of their lives. So which ones are you? I don’t have the answer, only you can tell. Before this, I have written a fascinating post entitle, “How Do You Define Success And The Real Meaning Behind“, I believe this is a great article that everyone who wants to be successful must read! So just go ahead and read it. So what has to happen for you to feel like a success? Do you need to achieve the $1 million mark income only to consider yourself to be successful? If so, whenever you are not making $1 million, do you feel like a failure? Well, it depends on how you define your success. And by the way, money, properties, cars, trophies, awards, etc. are all physical items, and usually, physical items don’t give you the ‘real’ success you want. Think about it, why do people want to get rich? Probably it is because money gives them freedom. They don’t have to be worry about the bills, and they can get whatever they want in life, right? They can travel anywhere anytime, and they can drive whatever car they want. So, what do people want in the end? They want the experience, the feeling, or the inner sense of success. All you need to do right now is to sit comfortably in a quiet place without distraction and ponder about the success you want. Do do you truly want to achieve in your life? What kind of future life do you want to live? What has to happen so that you will feel successful? What kind of experience do you want to have in life? Project yourself into the future for another 5 or 10 years. Imagine your perfect life and how will you live it. More importantly, write it down. You will activate the Law of Attraction when you write things done. Put your thoughts into words, refer to it whenever you want to and you will see how far you have come. Now once you have a clearer picture of what you want to accomplish in your life, it is time to move on to the second step, which is to set it as a goal and create an action plan to achieve what you want. Never underestimate the power of setting a goal. I started goal setting when I was still studying at the university. And if I looked back at the goals that I have set, I have achieved most of them. Although that some goals took longer to accomplish and exceed the time frame I set, I have achieved most of them today. I have managed to build an income stream online; I have brought my mother to Beijing for traveling, and I have bought some properties for investment as well. If you think that goal setting is all about just writing down your goals, you are WRONG! Goal setting is more than that. Like what I have said, whenever you have written down what you want, you created the attention for what you want in life. Some people said that setting goals will make them less flexible, well, this may be true to a certain extent, but keep in mind that setting a goal is much better than living your life directionless. You will never reach anywhere, and you will be like a lost sheep following the herd if you don’t have a goal. A goal acts as a guiding light to direct you in life. It tells you what you want and where you should go. Imagine having a totally free weekend, what would happen if don’t have a goal or a plan for the weekend? What would you do? Scenario 1 – most likely you will wake up late as you don’t have any plan. And you may waste a little time here and there checking Facebook or YouTube. And then you may wonder what to eat for breakfast or lunch. And probably you will take an afternoon nap or play games. In other words, you go through your weekend without any clear direction. And if you friends give you a call, there is a high chance you will accept their invitation to join them since you don’t have a plan, and they have a plan! So you end up in someone’s plan. Now let’s look at the second alternative that might happen. Scenario 2 – if you have a goal say you want to lose weight, so what will happen in the weekend? You may wake up early and get to the gym. You may eat a healthy breakfast since you wake up early to exercise. Even when your friends call you, you may reject them saying that you need to get to the gym. And who knows you might lose some pounds over the weekend. This is the power of having a crystal clear goal in life. When you go through life without a clear direction, you will never know what will happen; you don’t have control, and you will live a reactive life. However, if you have a clear and specific goal, you understand what needs to get done, and you live a proactive life, and there is a high chance that you will take action. From the example above, you will see that when you have a clear goal, you will understand what you need to get done. In other words, your goal will determine your plan, and your plan will determine your action. There is a potential power to act and to create success from just setting your goals. Can you see it? This is why goal setting is important, and I strongly encourage people to grab my Goal Setting Formula. 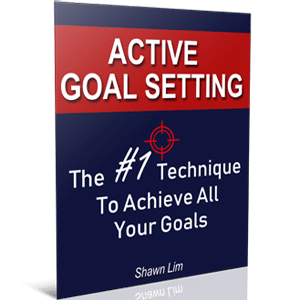 You will learn the ins and outs of setting goals, and more importantly, you will discover the secrets behind on how to get motivated to reach your goals. You consciously build the attention you want through goal setting. This is especially true when you go through your goals every day, remind yourself about them, think about them, talk about them, and take action on them each day. So are you ready to set goals yet? Do I need to say more about taking action? I guess you know it extremely well that for things to happen, you must MAKE IT HAPPEN. You must take action to reach your goals and to build the result you want. Nothing is going to happen if you just set goals and do nothing about it. You will still end up as good as getting nowhere and end up directionless if you do not act. When I said that setting goal activated the Law of Attraction, it does not mean that you don’t have to do anything and money will automatically fall from the sky. No, it does not work that day. Law of Attraction is just the attraction for what you want. You need action to connect the physical world and the inner world of your thoughts. When you think about success, it all happens in your inner world, but the success you want, the results are actually in the physical world that you are living. Therefore, the only way to bring the inner thoughts into the physical world is through action. It does not matter if you don’t know the exact path or ways to reach what you want. You just need to do something. Even if it is a wrong or ineffective action, it will lead you somewhere. Read the book, Steve Jobs, I highly recommend it. It is a great, full of insight and interesting book about the business legend, Jobs and how he built Apple. Jobs got fired from Apple, the company that he started, and after that, he failed in building another business called NeXT computer. And because of his failure, he got to learn to let go and start afresh from the mindset of a beginner again. He felt the pressured from Apple has been lifted off and able to focus better and continue to do what he loved doing. And in the twist of event, Apple bought NeXT, and he returned to Apple. Since then, Steve Jobs went on to build the company of the decade. The point I want to bring out is that you will never know what will happen in the future. We are not Gods or high power, and we will never know what will happen tomorrow. All we can do is to focus on doing our best today. And that means taking whatever action that we believe is the right thing to do. Even if you fail or the action you take is not contributing to the result you want, it is alright. Just like Steve Jobs, he got fired, and that’s how he managed to refocus and learn the lesson. Probably that’s exactly what you need to. The key is to take continuous action and keep moving forward. Life is exciting because of the unknown. I don’t know when you will be successful, but this is what I know, as long as you continue to move forward and keep taking action, you will guarantee to reach somewhere. Maybe you will reach a place that is even better than what you initially set out to achieve, right? One of the main factors people becoming successful is because they are expert in what they do. Look at the market leaders today, are they the specialist in their field? You bet. You cannot be successful being ordinary and be like everyone. You must find the competitive advantage that lets you stand out from the crowd. And the only way to achieve this is to be an expert in what you do. eBay is so far the king in the auction while Amazon is the king in e-commerce. Every big company out there is great at something. Even athletes and singers or actors, they are a specialist in something. Michael Jordan, Stephen Curry, and Kobe Bryan are experts in basketball. They don’t try to master other sports like golf or tennis. That does not mean that they don’t play golf or tennis. It is just that they treat golf and tennis more like a hobby. They spend most of their time and effort to master their skills in basketball. They choose a field, and they master it. Here’s the secret if you want to get paid higher. If you check out the market rate in all industries, you will discover that the expert is getting paid higher than ordinary people. Lawyers who are expert in what they do charge higher than those who are not an expert. The plumbers who are professionals will charge more on their services than normal plumbers. It is the same across every field and niche. You need to be an expert to perform a better service and to command a higher fee. So if you want to get paid more, become a specialist in what you do. A lot of people like to ask the question what is the best business to be in right now. Let me tell you my answer. There is no best business to do. Every field and every business can make a lot of money if you become the top 10% leaders in the business. Some people say that retail is not a good business as the economy is bad now, but do you know that the top leaders are still doing very well in the industry? Who says that selling fruits or spectacles or running a coffee shop is bad business? As long as you can transform your business to be in the top 10%, you will do good. So decide to be an expert in what you do today. You have to understand that every master was once a disaster. No one was born an expert in something. Steve Jobs was not born an expert in managing his business and leading his team. He learned from it. Michael Jordan was not born a talented basketball player; he learned to be one. What about you? Are you good at what you do? Do you consider yourself an expert in your field? Everyone can become an expert in what they do. Skills are learnable. You can learn and improve and master what you do. Here are some suggestions you can follow. Decide and make the commitment to learn every single day. What I will do each day morning right after I wake up is that I will read books. Personal development books, motivational books, success books, business books, etc. I will read for about 30 minutes each morning. You can do the same. Do you know that most people never read a book after they graduated from school? What a big waste. Never let that happen to you. Make reading your habit now. Can you imagine what will happen if you read 3 books in a month, and this goes on for the next 10 years? How much knowledge will you have accumulated? Of course, reading and learning are just the potential power, but if you decide to act on your knowledge, you will truly be powerful. The fastest way to get what you want is to do the right thing that will give you the right result. And this is what you can accomplish by getting yourself a mentor. You can become super successful when there is someone there to guide you, tell you what to do, and tell you what NOT to do. Every international athlete has a coach, why? Simply because the coach can guide them and tell them what to do to get the results they want. If you are in business, imagine having Richard Branson as your mentor and share with you his insights and telling you what to do, do you think you will be successful? Highly likely. So seek out a mentor to guide you. Most people never pay attention to who they mix with. I must say that whoever you mix with are utmost important because you are the average of who you mix around all day. You will get influenced by who you network and mix around most of the time. This is because the topics that you talk about will influence your mindset. And hence, influence your decision and action. If you mix with rich people who are running their businesses, you will never hear them say who and who got a pay raise. Instead, you will hear them say things like who sold off their business or who got an IPO and is now worth how much. You see, the topics will be totally different. This is why when you mix with the wrong crowd, you will talk about the wrong things. And you will get influenced in the wrong way. So join the right group of people today. Start to network actively with the right people that will empower you, not bring you down. If you want to learn more about becoming an expert in your field, check out this article from Eat Your Career. The author Chrissy Scivicque shared the 7 tips how you can do so. This is going to be another key to success that you already know. I guess I don’t have to say a lot on this, right? Well, passion is what fuels your motivation. Do you know why successful people can work harder, start earlier, stay later than most people? The answer is simple because they are passionate about what they do. Not only that, they are committed, and the are determined to be successful. Most people give up because they don’t have the motivation. You have to understand that success will not come to you tomorrow, it is going to be a long-term thing. Meaning, you will need to work on it for some time. And if you do not have the passion, you will never have the motivation. And if you don’t have the motivation, you will never last. Results will never come to you overnight. And if you don’t have the motivation to stay long enough until you hit the tipping point, you will give up. This is what makes passion an important factor in your life. Most people are going to give up when they did not get the result that they want. And this is where the ones who are passionate about it will continue to do and take action, and this is why they succeed in the end. Spend your next 15 mintues to watch this Steve Jobs speech at Stanford. It is inspiring and trust me, your 15 minutes will be well worth it. Do you know that you can develop the passion? Just like love, it can be love at first sight, and it can also be developed. I believe that there are foods that you hated last time, but now, you love it. I don’t like to read last time, but now I’m an avid reader. I used to love playing games last time, but now I don’t spend time playing games anymore. Your passion can change, and so you can develop the passion you want. You can build the passion to help you in your career, in your business, and in your life. So how do you build your passion? Simple, you just need to dig deeper and learn more on the subject. For example, if you want to build your passion with golf, just find out more about golf. Learn who are the top players, how the game is played, which course is fun, where to play, what skills you need and don’t forget to invite your friends for a game. If you do this, trust me, you will build up the passion in golf. Why? It is because you devote and dedicate yourself to it. Beauty lies in the eyes of the beholder. When you learn how good and how amazing something could be, you will start to love it. This is when you create the spark for it. So never say you hate your job from today. It is either you change your job, or you develop the passion for it. And in fact, it is the small actions that you take each day that will determine your big success in the future. IBM was not built in a day. Rome was not built in a day. Apple did not grow into a billion-dollar business in a day. They all started small and grew. If you want to be a millionaire, start small by earning your first dollar and then grow from there. If your dream is not big enough, you will never feel motivated for it. Imagine if you are earning $3000 a month now, will earn an additional $100 jumps you out of the bed? Probably not. Your dreams must be something exciting, something fun and something big that will drive you and make you motivated whenever you think about them. Do understand that all successes come from small actions. It is what you do day in and day out that count. Imagine you bring your 3-year-old kid to the park. And she saw the ice-cream seller and wanted to eat ice-cream. So being a good father, you buy a single-scoop ice-cream for her. After you had handed her the ice-cream, it started to melt, and suddenly the ice-cream falls off to the floor. And so she cries. Of course, you decided to buy another one for her. However, now she saw a triple scoop and wanted the triple scoop ice-cream instead of a single-scoop. Will you buy the triple-scoop for her or will you just buy another single-scoop? Most people will just buy a single scoop ice-cream. Their reason is that the 3-year-old doesn’t even know how to handle a single-scoop so how can she takes care of the triple scoop, right? Think about it; this is exactly what is going on with most people. Most people don’t even know how to manage $100, so how can they manage $1 million? If you don’t even know how to handle your days, how are you going to handle more? If you have $1000 in the bank now, learn to manage it and learn to split the money into investment, savings, fun, necessities, etc. If you cannot handle $1000, the universe will never give you $1 million to handle. It all started small. You say you want to build a million-dollar business? Learn to handle the basics and do the small actions each day first. Life is exactly like the handling the ice-cream on your hand. If you don’t know how to handle your business, how can you transform it better? If you don’t know how to handle $100, how will you get $100,000? If you’re still not convinced on why you should start small, read this from Joel Gascoigne. He will show you why all the great things start small and why ‘big’ can be dangerous. Start small from now on. Act on all the small tasks. Never underestimate the impact of small actions. Robin Sharma said that if you act on 5 small actions a day, within a year, you will have 1825 small successes. All you need to do is to take care of the small things, and the big things will take care of itself. Want to make a million dollar? Learn to manage your first $100. If you are broke and don’t even have $100 to manage, then learn to manage $1. You have to start small and grow. It is not the amount that matters. What truly matter is the habit. You want to build the success habit of taking small action which will eventually lead you to bigger results. Remember, it is not the matter of managing a big task or small task; they are just tasks, and more importantly, you want to build the habit. I believe that there are times when you will feel down, no motivation and frustrated. There are times you want to run away and want to give up. There are times you want just to put off everything. I have times like this too. And I believe that every successful person has had the same situation before. It is not about whether you are going to face the adversities or challenges, for they will surely come. If you want to learn how to deal with adversities and failures, read this, How To Overcome Tough Times And Succeed. You will discover the 5 principles I shared to overcome setbacks. 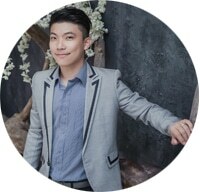 I wrote this post some time ago, and I believe that it is going to be a great help and encouragement for people who are having hard times going through life. Besides learning how to handle the situation, here is an interesting way to handle problems in your life. No, I got it wrong, it is not a way to handle the problem, but rather, it is a way to handle yourself. So it is not the problem that will stop you, it is you that will be stopping yourself. Imagine the problem is a level 3 problem and your skill is at level 5, it will be a small problem for you. However, if your level is at 5 and you face a level 9 problem, you will feel like the world is coming down with this huge problem. Hence, it has nothing to do with the size of the problem; it has everything to do with the size of you. A million-dollar problem may be big for you, but for the super rich billionaire, it is not a problem at all. They don’t see it as a problem because they are at a higher level. How committed are you toward the things that you want? Are you willing to do whatever it takes, or you will just do what is comfortable? Successful people are successful because they have a strong burning desire for what they want. They can’t get their dreams and goals out of their mind. They dream about it when they sleep. They think about it the first thing they wake up in the morning. They talk about it all the time, and they act on it every moment. So are you thinking and acting on your dreams and goals now? If you don’t, probably you are not that serious about what you want, and your desire may not be as strong. The majority are just ordinary, and to be extraordinary, you need to do the ‘extra’. Without a strong desire, you will never do the extra work, and you will never be extraordinary. Well, I’m not suggesting you not to sleep. I just want to show you the commitment and dedication from people who have achieved a lot in life. The same goes for everyone in every field. Be it Richard Branson, Steve Jobs, Michael Jordan, Michael Jackson, Jack Ma… Everyone who is successful works hard for it and has a strong desire. I can’t help you to build your desire, but I can tell you that your desire can come from your passion and your commitment. And you can learn how to tell weak desire from strong desire in Mark Petruzzi’s blog. Mark shared some great examples for both weak and strong desire, so is your desire weak or strong? It all depends on how committed and how passionate you are. If you are incredibly committed to the success you want, you will do whatever you can. This is pretty self-explanatory. If you give up, you will never achieve it. Most people give up some point in the process of achieving their dreams. When they first started, they feel extremely motivated, and nothing can stop them. After some time down the road, when they did not see any significant result or when they face some difficulties, they will lose the drive and eventually, they give up. This is the main reason people fail to accomplish what they set out in the first place. They lose their motivation; they are stopped by adversities, and they got distracted by something along the way. Can you imagine what would happen if you continue, never give up and keep working on your goals for 5 or 10 years? Most people will say that for sure if they work on what they want for straight 5 or 10 years, they will achieve it. The problem is that most people give up somewhere down the road. So don’t ever let this happen to you. Once you have decided on what you want, work on it relentlessly until you achieve it. As long as you are not there yet, you are not done yet. One of the most successful automaker in the world, Honda, never give up and continue to work hard on his dream for years before he finally accomplished outstanding success in his life. Psy, the Korean singer who made a hit with his song, Oppa Gangnam Style, made the overnight success when releasing his song in 2012. However, do you know that Psy started as a singer, and his first album was released in 2001? Nobody knows who he was until his Oppa Gangnam Style hit more than 10 years later. What I want to show you is not just the relentless of these successful people, but more importantly, I want to point out to you the importance of staying focused on what you want. What would happen if Honda suddenly switches his focus back then? What would happen if Psy goes into other industry and not the music industry anymore? What will happen to Messi if he decided to start a business instead of playing football? The ability to never give up is crucial, and at the same time, the ability to stay focus on the goals and dreams is even more powerful. It is the focus that allows successful people to go on and produce extraordinary results in their lives. Yes everyone faces rejection, hard times and setbacks, but it is the ability to stay focus and never give up that separate the successful and the unsuccessful. So you need to remember your purpose at all times. What do you want to accomplish and why do you want to achieve what you want? Keep it in your mind all the time. Whenever you are down and no motivation, refers to your dreams, think about your goals and remember your purpose. Just like these 9 famous people who will inspire you to never give up, whenever you need a boost, think about their stories and get inspired again from them. These are the things that you should do every single day to keep you focus and driven. If you were to ask me what the number one secret to success is, I would tell you that it is your habit. It is your habit that brings you the result you have today. You are who you are today because of your habits. People are successful because of what they do consistently each day. And it is their habits that decide who they are and what results they got in their lives. Thus, if you want to have a better result, adopt a better habit. Your habits will either break you, or they will make you. You choose which one you want. If you have lousy habits or habits that don’t help you at all, guess where will you be 10 years down the road? On the other hand, if you have success habits such as hard working, focus, proactive, etc., you will end up in a totally different destination after 10 years. In fact, we all know what the success habits are. Proactive, wake up early, get things done, hard working, stay focus, exercise regularly, eat healthy, take action, etc. You can even find the 175 Ultimate List Of Habits from Live Bold And Bloom. The author, Barrie Davenport shared 175 positive actions you can pursue a better you. Check out the list to see where you can improve. Most of the time, it is not that we are not aware of the success habits. To put it more accurately, it is about executing the success habits. Everyone knows that we need to work on our goals, be hard working and wake up early, but are we doing it? The main challenge is in the execution. It is what we do or don’t do that will give an impact in our lives. So how do we make the positive actions our habits? Again, you have to harness the principle of starting small. Take exercise as an example; it will be challenging if you suddenly change your lifestyle and incorporate an hour of exercise into your life. What you can do is to start small. For instance, you can exercise just for 15 minutes. Or probably you can just tell yourself that you will do just 10 push-ups. If this still sounds daunting, do just one push-up. The key is to make it so easy and so simple that you will want to do it immediately. And when you take the first step, you will build up the momentum and continue to do more. So if 15 minutes of exercise is difficult for you, try to focus on doing stretching for just 1 minute. Once you started doing it, you will create the momentum and do the extra will be easy. By the way, if you want to learn about building a personal home gym, visit Jim from GGB.com. Next, to build a success habit, you must take the action every day, at the same time, in the same manner, and preferably at the same place. You want to create the wiring connection in your brain’s neuron. And once the pathway has strengthened, it will become your habit. Remember, start small and grow from there. Don’t even think about growing big if you can’t even do the first step. I decided to add this in as an additional step to success. You probably think that giving back or contribution has nothing to do with your success, but those who give back and contribute usually shows a positive impact on their lives. They are more cheerful, happier, have more confident and they are willing to work harder for others. Over the years, I learn that when you donate, help someone or contribute something to the world or society, something great will happen to you, not just the people you have touched. When you donate, you know deep within you; you are helping someone, and you have more than enough to help others. When you help others, you know in yourself that you have the ability to help, and you have done something amazing to the world. These are the inner senses or feelings or experiences or whatever you want to call them that will transform you, the person who take the first step to contributing. That’s why I encourage everyone to help and contribute back to the world and society. What you have earned, you can donate. What you have learned, you can share. We all live in the same world. It is better to be successful together than to be successful and lonely. I know this is a long blog post and if you are still reading up to this part, I seriously wanted to congratulate you and sincerely thank you for spending your time here with me. I know it is not easy to sit and read this long article without distraction, which is why I wanted to congratulate you. I also hope that the idea presented in this article, 10 Steps How To Live The Successful Life You Wanted, will truly be beneficial to you. And since you have spent your time reading up to this point, why don’t you share with me your opinion on this and let me know what you think? Simply leave your comment below and let me know how you feel about this. Having said all these, living a successful life starts with you. You have to take action from now on. Follow the 10 steps above and it is time to create a better you and a better life. these steps can surely make anyone successful. Thanks folk for sharing such a wonderful blog with us. Thank you for sharing your knowledge with us. May god bless you and fulfill all your dreams. Hi Karl, you are absolutely right. A winner will never quit and a quitter will never win. Period.